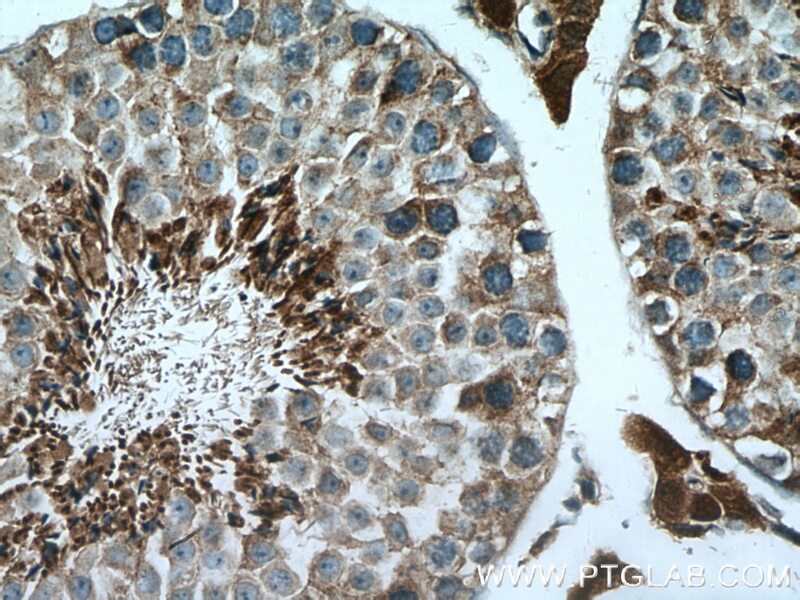 Immunohistochemical analysis of paraffin-embedded mouse testis tissue slide using 15767-1-AP( NQO2 antibody) at dilution of 1:400 (under 10x lens) heat mediated antigen retrieved with Tris-EDTA buffer(pH9). 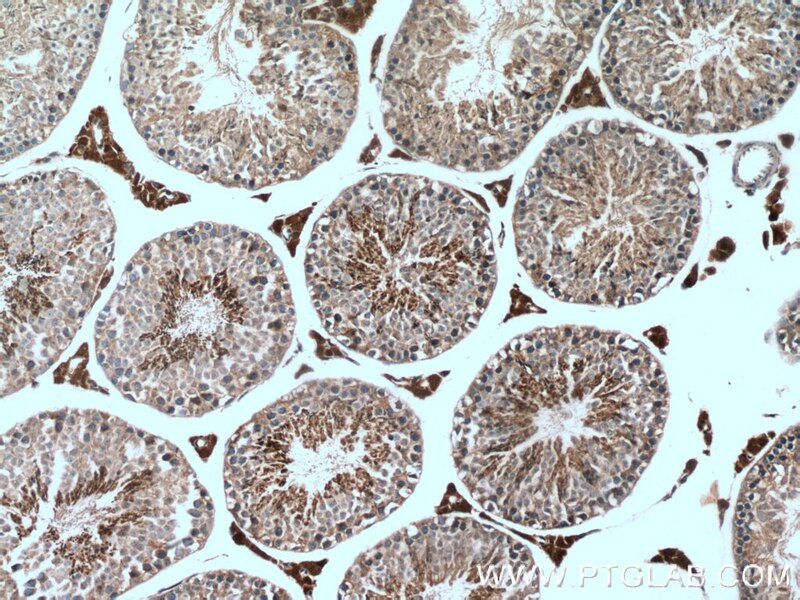 Immunohistochemical analysis of paraffin-embedded mouse testis tissue slide using 15767-1-AP( NQO2 antibody) at dilution of 1:400 (under 40x lens) heat mediated antigen retrieved with Tris-EDTA buffer(pH9). 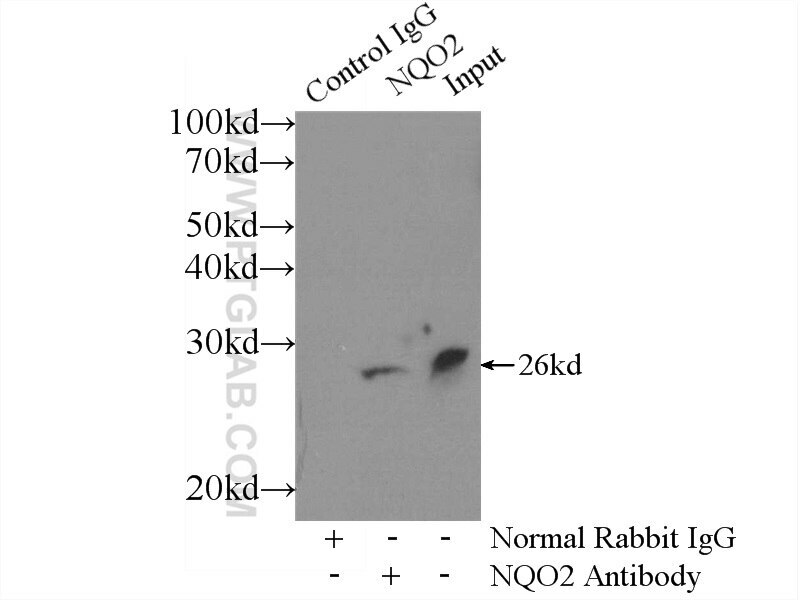 Immunofluorescent analysis of Hela cells, using NQO2 antibody 15767-1-AP at 1:25 dilution and Rhodamine-labeled goat anti-rabbit IgG (red). 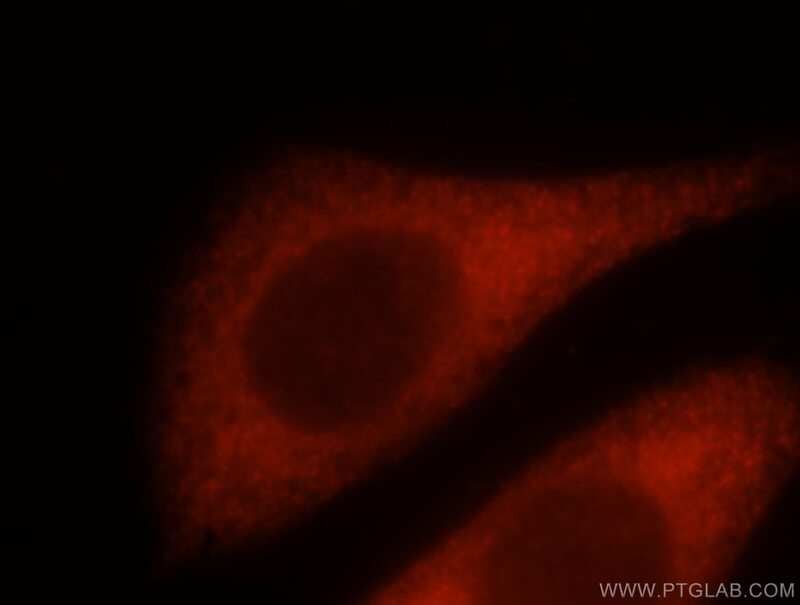 IP Result of anti-NQO2 (IP:15767-1-AP, 3ug; Detection:15767-1-AP 1:500) with HeLa cells lysate 1200ug. NQO2, also named as QR2 and NMOR2, belongs to the NAD(P)H dehydrogenase (quinone) family. It serves as a quinone reductase in connection with conjugation reactions of hydroquinones involved in detoxification pathways as well as in biosynthetic processes such as the vitamin K-dependent gamma-carboxylation of glutamate residues in prothrombin synthesis. The cytosolic quinone oxidoreductases NQO1 and NQO2 protect cells against oxidative stress by detoxifying quinones and preventing redox cycling. NQO1 and NQO2 are important endogenous factors in regulation of immune response and autoimmunity. Downregulation of quinone reductase 2 attenuates vascular smooth muscle cells proliferation and neointimal formation in balloon injured rat carotid artery.